Above all Anne Marie Porter was amazing!! 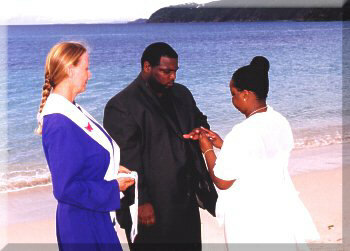 She was hands down the best officiant we could have ever imagined Pre wedding I reached out and spoke to Anne Marie about documentation that we were required to have in hand and submitted to the courts in USVI, St. John. She was so helpful and walked us though the requirements step by step and was encouraging and cheerful every step of the way. Since neither of us had been to St. John before we sourced Anne Marie to guide us in selecting our perfect nuptials location and photographer. She really listened and heard us when we were conveying to her what we really wanted to get out of our special day. It was as if we were just working with a good friend who knew us without even having met us. 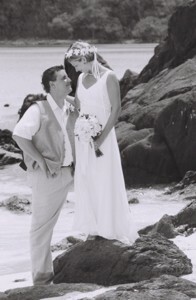 Our wedding was magical and intimately cozy with the help of Anne Marie and St. John Weddings.We over, above and beyond recommend St. John Weddings if you think that the US Virgin Islands, St. John is the destination wedding location for you. 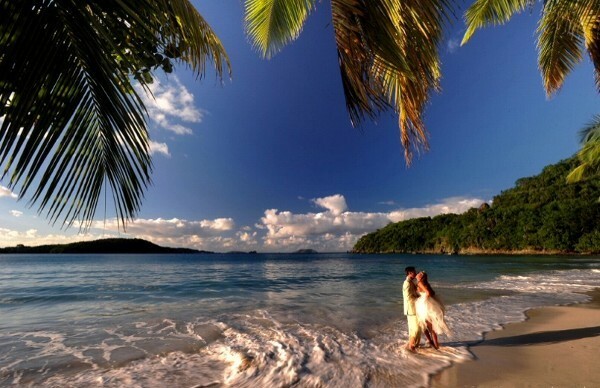 Over all your personalized wedding in the US Virgin Islands will be a romantic wedding in the beautiful Caribbean. We felt that we must take a moment to express our sincere gratitude. The wedding ceremony that you performed for us was absouloutly beautiful. The abundant amount of love that you brought together was breath taking. The feeling during that ceremony was amazing. We are thankful that we will be able to always have and hold that feeling, thanks to you. You have given us a true gift of such a wonderful wedding. You will always be a part of our lives and we will always have that beautiful ceremony to remember. ” Thank you for making our ceremony so special and unique. John I have discussed what great energy that you created in the church several times. I cannot express how thankful we are. 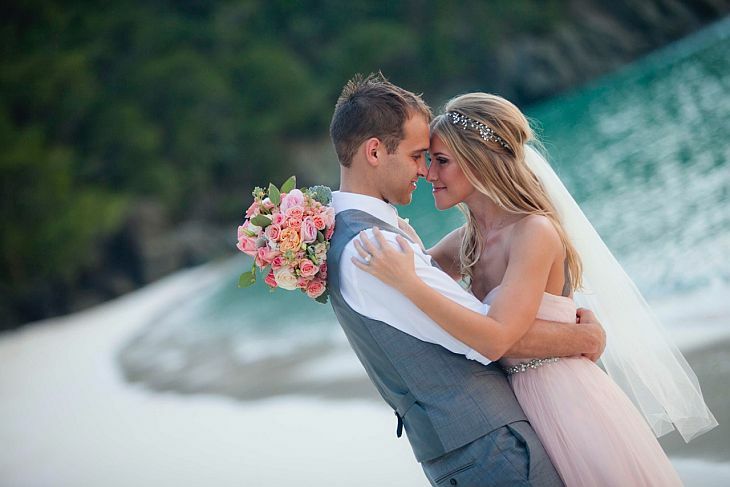 So many of the guests stated how beautiful and individualized you made our moment. Thank you again for sharing your spiritual gift. Anne Marie’s gift for creating a meaningful service with you is one of the reasons she is so in demand. She wants your wedding ceremony to be appropriate for you. Anne Marie encourages you to create your own tradition. Get married by “St. John’s barefoot minister” Anne Marie. The fee of $400 includes unlimited consultations, and marriage ceremony at the time and place of your choice, and certified copy of license and certificate of marriage. 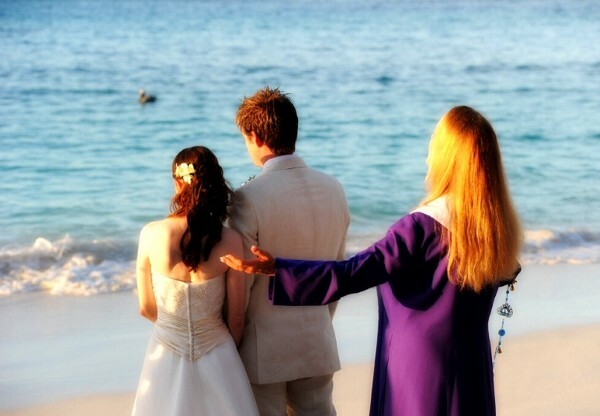 Phone Anne Marie today for your personalized marriage ceremony.